Taniecea Arceneaux Mallery, Ph.D., currently serves as the Director of Equity, Diversity and Community Engagement at the University of Louisiana at Lafayette. In this role, she is responsible for fostering diversity among students, faculty and staff, as well as ensuring that underrepresented groups have equal access to educational opportunities and resources. 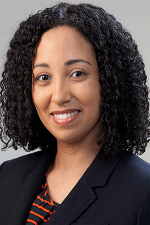 Prior to joining UL Lafayette, she worked as a senior diversity research specialist in the Diversity Policy and Programs unit at the Association of American Medical Colleges in Washington, D.C. She has also completed a postdoctoral research fellowship in the Center for Statistical Research and Methodology at the U.S. Census Bureau. She earned a bachelor’s degree in mathematics from Loyola University New Orleans, as well as a master’s degree and Ph.D. in applied and computational mathematics from Princeton University. UL Lafayette track and field great Hollis Conway returned to his alma mater in January 2018 to serve in the role of Assistant Director for Diversity, Leadership and Education. In this role, Conway is responsible for development and implementation of the athletics department’s Geaux Cajuns Program which is designed to provide leadership and guidance to student-athletes in accordance with the following five pillars: community engagement, leadership, career development, personal development, and health and wellness. He is also tasked with implementing an institution-wide comprehensive education and training initiative to cultivate a campus climate of inclusion and respect. 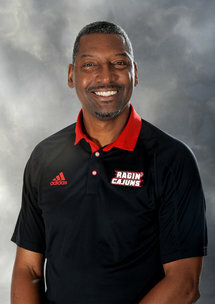 Conway was a six-time NCAA All-American, six-time conference champion and three-time NCAA champion for the Ragin' Cajuns from 1986-89. He enjoyed a decorated international career that included Olympic medals for high jump in the 1988 and 1992 games. Since retiring from jumping in 2001, he's impacted lives through his motivational speaking company Overcoming Obstacles, Inc. The Chicago, Ill., native was inducted into the USA Track and Field Hall of Fame in 2015 and is also a member of the Louisiana Sports Hall of Fame and the UL Lafayette Athletics Hall of Fame. Cheryl Bryant is the Administrative Assistant for the Office for Campus Diversity at the University of Louisiana at Lafayette. In this role, she supports the University’s goals of diversity and inclusion by assisting students, faculty and staff. Currently, Ms. Bryant serves as the Treasurer of the Black Faculty and Staff Association (BFSA). As a member of the BFSA, she welcomes the opportunity to work with other groups and organizations on campus to improve the learning and working environment at the University of Louisiana at Lafayette. Ms. Bryant began working at UL Lafayette in 2007 with the UL Lafayette AmeriCorps, developing relationships with over 1000 students as a mentor and part of their support system to be successful in their college careers and beyond. She is grateful for the opportunity to work with students and is always willing to help them achieve their goals.